If you are looking for candyfloss, cotton candy or fairy floss you have come to the right place! 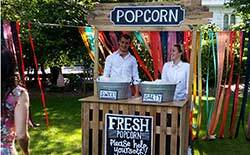 We hire candy floss stalls and machines in the South East of England including London. Having a stall that serves either candyfloss or popcorn at exhibitions or conferences has really set our clients out from the crowd..
Having something novel to stop passers-by is essential to maximise your presence at the exhibition. 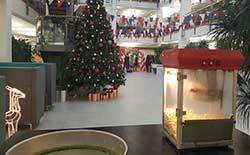 Popcorn is really good for this as the aroma of freshly popped corn usually draws people from a distance to come and see where they can get their freebies from! We have attended many conferences, especially in Brighton, serving our popcorn and candy floss to people in breakout sessions. this really fits in well with the Brighton theme. It great for us as its on our doorstep! Our candy floss machines and carts definitely add a “wow” factor to any event with the wonderful smells and huge sticks of fluffy fresh candy floss. We usually serve floss on a stick although we are happy to supply it in bags as well; just ask when making a booking. We have a large variety of flavours although 90% of our events ask for the traditional pink floss. Our personal favourite at the moment is the green apple floss. Everyone always watches in wonder when we arrive at events, it’s not every day you see candy floss being spun in front of you! They usually ask about how the machine works and who came up with idea! 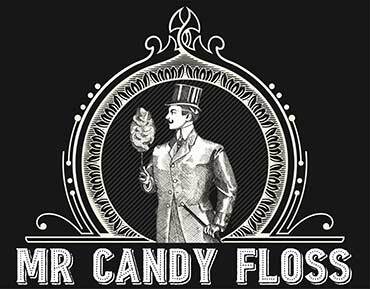 So after a little bit of research we couldn’t believe it when it turned out that candy floss was invented by a dentist! 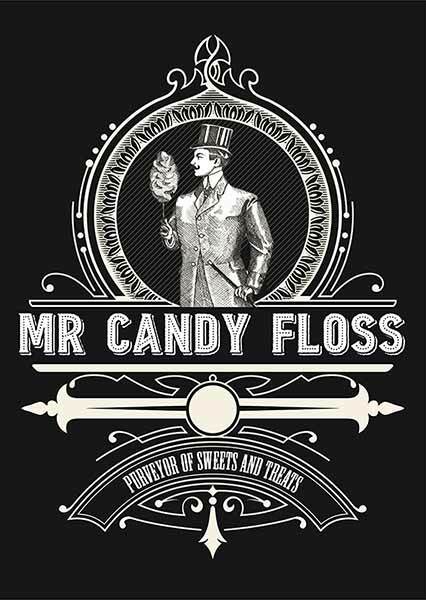 Apparently, William Morrison (the dentist) and his colleague John C Wharton who was a confectioner present their cotton candy machine to the world at the 1904 world’s fair. This, by all accounts, was a success selling nearly 70,000 boxes – I wish we could go to an event and sell 70,000 boxes!!! The machine works by heating the sugar to melting point and then when it turns to a liquid it is able to pass through the gauze in the centre of the machine and being so thin it cools instantly forming the solidified spun sugar which we know as candy floss. 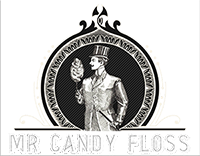 candy floss is enjoyed the world over and we have often heard it referred to by other names such as fairy floss, cotton candy, ba ba ba(french), foy serwan (thai). 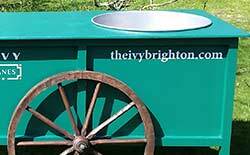 We can also provide toffee apples, chocolate apples, traditional sweets, ice cream and freshly popped popcorn from one of our many carts. Call or email us for more details on how we can give that traditional extra special touch to your event.